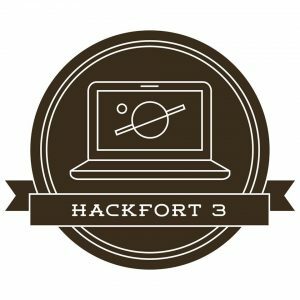 Hackfort 3: Why Hack for the Community? For the past two years or so, I have been slowly learning to code, and I’m doing it for one main reason: There are systems out there that I want to help fix. One of those systems is the Idaho state legislature’s web site: it bothers me that bill and legislator information is buried so deeply and difficult to find and lacking in useful detail, and so I am working on an alt legislative website that will make it easier to find and track Idaho (and maybe other state) legislative info. I also recently got involved in a grassroots election results hack, Open Elections, that is attempting to standardize election result reporting across the country. 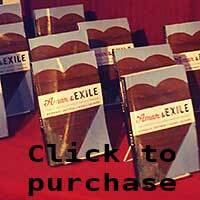 I helped build Latino208.com, and I’m working on civic-minded web projects in both of my day jobs, at Boise State and in the city’s IT department. Next week I’ll be working, on my own time, on an app for the Hackfort Hackathon, the civic tech track at the Treefort Music Fest in Boise. I volunteered for the civic track committee, and, full disclosure, I also helped pull together the City of Boise’s Hackfort data offerings that may aid in the hackathon. This year, Jimmy Hallyburton of Boise Bicycle Project put out a call for a bike crash reporting app, which inspired the general topic of “hacking Boise transportation” for this year’s hackathon. The idea is to crowd source a database of otherwise unreported bike crashes in order to help identify the causes and location of bike-auto collisions and ideally to prevent them in the future. Inspired by a call to action from the Boise Bicycle Project, #Hackfort3 asks developers, designers and civic hackers to consider: What data and/or software do you need in your pocket in order to get around town better? I really hope a team or several teams tackle this idea — it’s valuable data to collect, community driven, provides potentially life-saving information to cyclists as well as drivers, transportation planners, police officers and researchers and supports the mission of a kickass local nonprofit. Check the Hackathon page at Dev Post to find a team or start a new one. The Boise Bicycle Crash Reporting app, mentioned above, of course. Skateboard route finder, with skater friendly paths, byways, stairs and bowls marked — perhaps a Google maps hack for skater routing? Better Boise Bus Finder: ValleyRide now has a bus geolocator, but perhaps there is a better implementation of it out there? Analyze crashes that involve cyclists and ARE reported to find patterns, seed the bike crash app mentioned in No. 1, save lives. Model future scenarios for transit in Boise, i.e. trains, planes and automobiles in 2030, 2040… perhaps a game? Put your favorite stuff on the map, the OpenStreetMap. The hackathon has been open for some time, but convenes formally at Trailhead on Thursday, 3/24, after 7 pm, as kind of a formal kickoff (Hackfort opening party starts at 5 pm that evening). Finished apps are due at 9 am on Saturday, 3/26, and will be demoed at 3 pm, also at Trailhead, to be followed by the awarding of prizes.